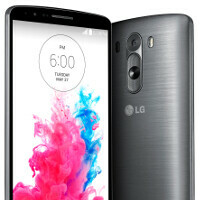 The LG G3 is finally here, and with that, we think we aren't expecting any other major flagship smartphones to launch during the first half of the year. This means we can go ahead and ask you which one of all the wonderful high-end devices that got introduced during these last few months captivates you the most. For the sake of simplicity, we've limited the choice to just the major Android flagships that have been introduced, namely the HTC One (M8), Samsung Galaxy S5, Sony Xperia Z2, and LG G3. Without a doubt, all of these handsets are simply magnificent, with each being unique or unsurpassed in a certain area. However, we're more than certain that you already have a favorite flagship, so go ahead, vote in the poll below, and let's see which one's going to get the most love from consumers! G3 is bossmode in every way. But the Note 4 WILL be phone of the year. It will bury every single android phone out there. Note 3 did it, GS5 is doing it ... and h*ll yeah the Note 4 with updated Note 3 looks and the goodies of the GS5 plus much more. wow. (totally off topic) ... ;) Padfone X launching on June 6th! With a price of $199 on contract for phone AND tablet dock! Off contract it is around $600-650 for BOTH! Truly said.. I also expect a lot from Note 4. Will buy it unless it doesnt cost tooo much..
Love the bezel of G3 but will stay with z2 functionality and durability . All hail z2. I'd still say that the S5 will sell the most out of all, though the G3 wins in specs and the M8 wins in looks. G3 has 2GB of ram so it does not win. It also has a 16GB model like the S5 which is a fail. Z2+M8+G3+OtherF@rtyDevices < GS5, in sales, popularity, features and everything that matters. Sell more, has many more stuff. IP, Camera, Features, Fingerprint, USB 3, Heart monitor and many other things, yes nice try. What lags? I never had any lag on any Samsung device. And about ugliness, its designed with the youth and the active in mind. If you find rectangular phones made out of 1981 Mercedes E280 metal, than I have some bad news for you. Yes, because we all want our phone made out of flimsy plastic with the looks to appease toddlers! Finally someone says it! not all of us. some look as old and classic as a happy 1980s tv set. and some would rather look active. you can't deny that z2 and m8 are not for older people, just look at the people htc uses for its ads and the approach, if you see the design and the UI. Touchwiz is more cartoon-ish, younger and full of features. of course an old man would find his way better in a "simple" UI or OS like iOS, and complains about lags while using Touchwiz because he can't find his way lmao. but as for tech geeks youngsters and active people Touchwiz is a helluva UI, it's the most advanced, has the most features and certainly looks the more "active". and the GS5 is here to complete it. face it, it seems people really do prefer plastic over classic metal or glass or whatever. you know one company can't sell and the other can't release a flagship as their next one is due in 2 months (z3 august). Essentially what you're saying is that Samsung makes their phones for preteens while HTC, Apple and Sony make their smartphones for sophisticated, more classy people? Samsung makes their phones for the youth and the active. as for the old and the f@t like yourself, well, a metal 1981 Mercedes made htc advertised by an old actor suits you well. LoL, he said, "touchwiz is the most advanced!" Cartoonish...Yep, got that part right. Plastic is more durable than aluminum. Ehem, Excuse Me! I agree that Plastic is a cheap material, Aluminium are fragile and dent easily unless it's tougher! What about the mighty Polycarbonate? It's the best plastic material in a smartphone, so LG G3 right now is using the Polycarbonate and brushed look alike HTC One (M8) aluminium body texture! Instead of making full aluminium body, which is. Polycarbonate also environmental friendly!